Bring the theatre experience home with this Pro-UHD, HDR-capable projector with Epson's 3LCD technology delivering amazing picture quality for the ultimate home cinema experience. Epson EH-TW7400 4K Enhancement 2400lm Projector lets you enjoy the big screen experience at home with access to the latest 4K content with this affordable home cinema projector featuring sharp images coupled with a very high contrast ratio, all with great connectivity and easy setup. TW7400 PRO-UHD allows you to enjoy amazing lifelike images exceeding Full HD resolution with our PRO-UHD projectors that accept 4K UHD content and upscale non-4K content. Discover the functions that add real worth and create the PRO-UHD experience. Centre all the action in your viewing space with Epson’s home projectors. Transform the every day, whether you’re catching your favourite sports, watching a classic movie, streaming a box set or playing the latest game. You can capture everyone’s attention with a dominating 300” display, unite family and friends to discover those unforgettable moments. HDR presents the optimum visual experience by increasing the contrast to deliver a much more noticeable array between the darkest and lightest areas. It offers pictures additional depth and permits you to examine unimaginable detail that’s was not previously attainable. It enriches colours to reinforce realism, retain intensity in images and ultimately offer a greater degree of immersion. HDR support lets you take advantage of the latest HDR content available. White brightness alone cannot bring the authentic colours you see everyday to life. 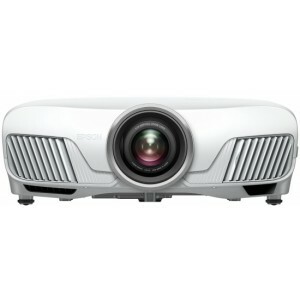 Therefore, the 3LCD technology found in Epson’s projectors delivers equally high White and CLO (Colour Light Output). Why accept an uninteresting, washed out and lifeless screen? Experience vivid and lifelike images with Epson projectors. Avoid the rainbow result with Epson's projectors that use three individual LCD chips to project red, green, and blue light at the same time. In distinction, projectors with 1-chip DLP technology use a rotating wheel to project colours sequentially. Instead of a crisp edge, some viewers will suffer the distracting and unnatural colour fringe rainbow effect. Even within the quickest action scenes frame interpolation and Detail Enhancement ensure motion scenes are sharp and sleek. Reducing motion blur in fast-moving scenes, frame interpolation technology inserts new frames between the initial ones to suppress blurring. The ultra-wide colour gamut will increase the variety of lifelike colour, whereas the high contrast ratio delivers deep blacks for outlined detail in the shadows. Looking for flexibility when it comes to installation? This is quick and simple thanks to a premium optical zoom ratio, and lens shift capabilities: up to ±96.3 percent on the vertical axis and up to ±47.1 percent on the horizontal axis. Additionally, the motorised zoom, focus and lens shift will store up to ten distinct positions, letting you easily switch between different aspect ratios at the touch of a button. The high-quality optical zoom makes it feasible to use shorter cables, keeping any signal degradation to a minimum. 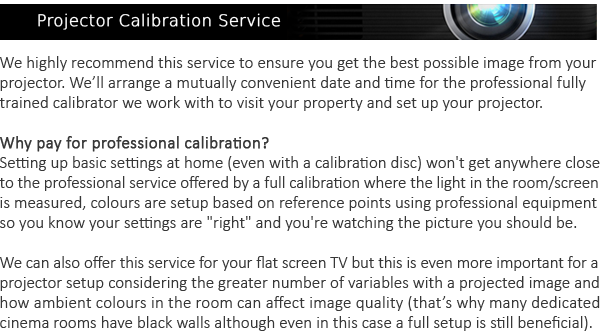 This projector is capable of being calibrated to Pro ISF standards for better management. With up to 5000 hours lifetime on the lamps, you could watch a movie every day for the next seven years without having to replace them. Epson projectors are famed for reliability, so there is no worry of missing a moment of your preferred film, game or programme.